For those operating in the most severe environments, this iteration of our popular AZTEK features the extremely durable 8 mm SafeTech® cord for the edge restraint. The nylon core offers the right amount of give and packability, and is protected from abrasion and cutting by the Technora® sheath. This combination ensures you have the best blend of abrasion resistance, flexibility and resistance to flex fatigue. 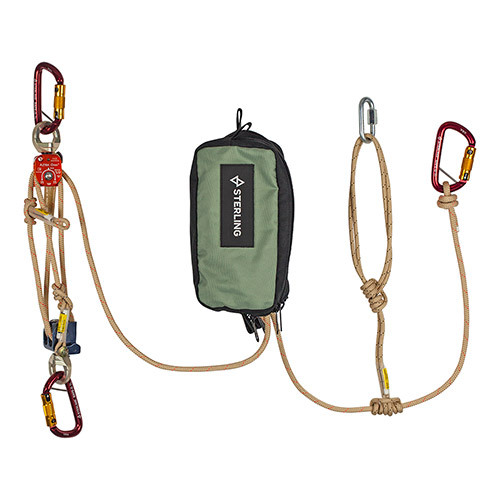 The ratchets and travel restraint are made with a specialized 6 mm cord, that also uses the durable nylon/Technora construction featured in the edge restraint. Colored tracers in each ratchet offer convenient color coding for connecting to the appropriate block.